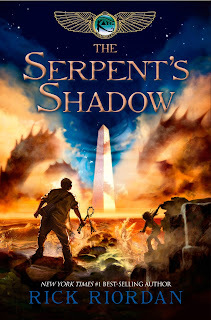 The Serpent's Shadow paperback edition will be released in the U.S. on May 7. This edition will include the Percy Jackson/Carter Kane story The Son of Sobek, and is the first place you can read that story. That's about forty pages of extra adventure at no additional cost. But maybe you've already bought your copy of The Serpent's Shadow, and you say, "How can I read The Son of Sobek without buying Serpent's Shadow again?" On June 18, The Son of Sobek will be released as an electronic e-single. (Actual cover to be unveiled soon.) This will cost less than the paperback book described above, and it will include the text version of Sobek *and* the audio version of the story, read by yours truly -- the first time I've ever narrated one of my own stories in its entirety. And . . . drum roll . 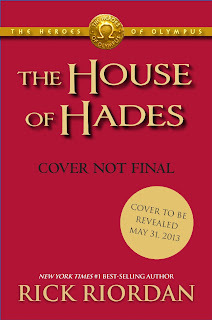 . . it will also include an exclusive sneak peek chapter for The House of Hades. You can read it here before it's available anywhere else. And some of you say, "Whaaa! I have to buy an e-single to get the sneak peek? I want it for freeeeee!" 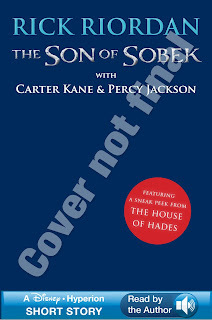 Yes, Disney-Hyperion will be releasing a free sneak peek as well, a little closer to the release date for House of Hades, as they always do, but bundling it with the e-single first is a 'thank you' for those who order the story. And, of course, I hope you'll want to get The Son of Sobek anyway because I hope you'll enjoy it! 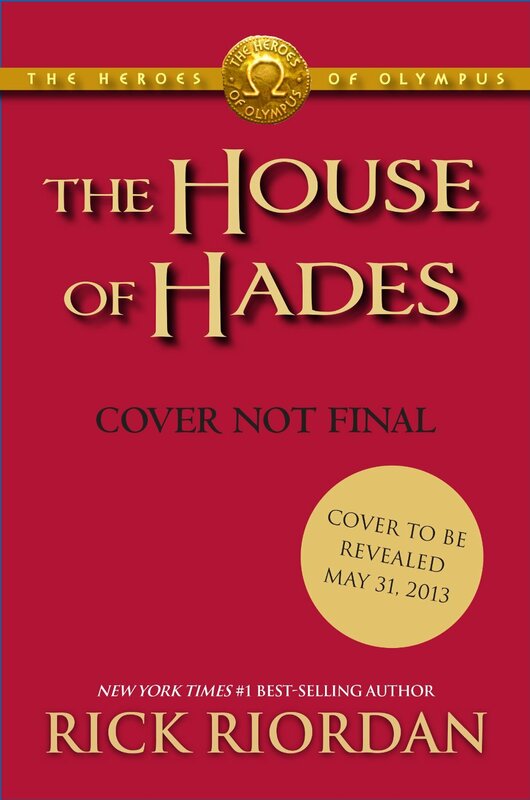 The fourth book in the Heroes of Olympus series, The House of Hades, will be released October 8. 2013! We will reveal the actual cover of the book on May 31. Sneak peeks will be revealed during the summer, as described above -- which is pretty much the same timetable Disney-Hyperion uses every year. To which many of you say, "Ahhhhh! You are trolling us! I need the book right NOW! I cannot WAIT!" To which the author says, "Glad you're excited! Sorry about the trolling, but ahhhhh! It does not EXIST right NOW! I have to finish WRITING it first!!!" Anyway, I promise it will be released on time in October, but no chance in Tartarus that it will be released earlier. And speaking of which, I need to get back to my revisions!